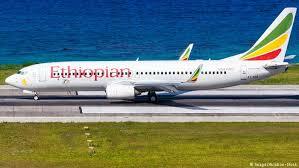 Two Nigerians were confirmed to be among the casualties as an Ethiopian Airline Boeing 737-800 MAX aircraft crashed at Debre Zeit, Ethiopia, shortly after taking off from Addis Ababa to Nairobi, Kenya. There were no survivors on the ill-fated aircraft which had 157 persons on board, comprising 149 passengers and 8 crew members. “We lost one of our own: a high-profile Nigerian, Ambassador Abiodun Bashua in the crash. He was the former UN and AU Deputy Joint Special Representative in Darfur, Sudan,” Uko said. Kenya had 32 of its nationals, Canada 18, Ethiopia 9, China 8, Italy 8, US 8, UK 7, France 7, Egypt 6, Germany 5 among other nationals on board the crashed aircraft.